My Husband Gets VA Benefits. What Happens to His Benefits if He Passes Away? There are a number of different VA benefits available to veterans and their surviving spouses. The most commonly-known VA benefits program is the monthly service-related disability benefit, which veterans receive during their lifetimes, based on the extent and nature of their disabilities. However, the VA also has pension programs that a senior war veteran and/or his or her surviving spouse can use to help with the costs of medical care, assisted living facility costs, and nursing home expenses. Unfortunately, only a tiny percentage of the veterans and their surviving spouses who are eligible for this benefit are currently receiving it. The VA commonly refers to pension benefits as “aid and attendance.” In order to be eligible for any aid and attendance, the veteran must have served at least 90 days of active duty, with at least one of those days having occurred during a time of war. Service in combat is not required. The veteran also must have been honorably discharged from the service. There are also sister benefits to aid and attendance called “compensation,” which are solely available to veterans who became disabled due to injury or illness suffered while on active duty. A veteran household cannot receive both aid and attendance and compensation at the same time; the veteran must choose between the two benefits programs. There three different tiers of VA pension benefits, each of which has its own eligibility requirements and benefits limits. Typically, the veteran must be disabled and at least 65 years of age in order to access these benefits. 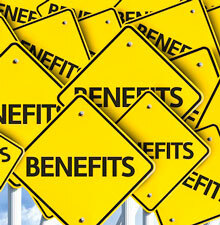 There are also income limits on these benefits. Fortunately, even after a war veteran passes away, a surviving spouse may be eligible for monthly death pension payments under the aid and attendance program. VA benefits are one way to ensure that veterans receive safe and appropriate care, whether they remain at home or enter a long-term care facility. By hopefully eliminating some of the questions about how certain types of benefits affect our life, it is our sincere hope that we can help you get through what is likely to be a difficult time. 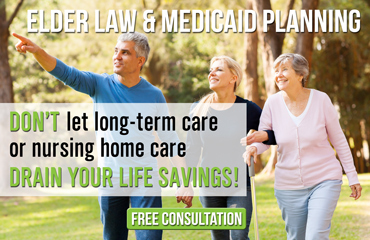 At Law Offices of The Elder Law Firm PC, we are here to stand up for the rights of all individuals and their families who need help planning for the future. Contact us today at 616.840.3754, set up an appointment with one of our Michigan VA benefits attorneys, and discover how we can help.